It isn’t everyday that you find great, fun, and respectful gifts that enhance the intimate relationship of marriage. Love2Romance.com is one of those great places to find ideas and motivation to strengthen the intimate connection between husband and wife. You’ll love the Love2Romance “Loving Wives Club!” The “Loving Wives Club” makes it easy for you to keep your husband more emotionally connected to you! They provide monthly digital romance prompts sent via email to help you inject fun and playfulness into your relationship. #1 — Novelty in marriage increases dopamine levels in a man’s brain. These are his “feel good” chemicals. Men are drawn to the source that helps him feel good. Doing new things is key to his chemistry and to keeping him close! #2 — A man needs to feel emotionally connected to solidify and increase his commitment to you. Attention, Appreciation, Admiration and physical Affection are ways that wise women keep themselves close to their husband’s heart. The Loving Wives Club makes it easy for women to give their husband these four things in romantic and fun new ways every month. 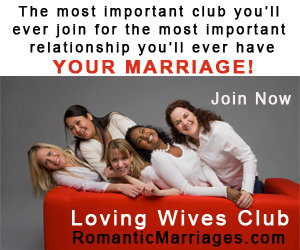 Join the Loving Wives Club to awaken your inner flirt and to keep your man emotionally connected to you! 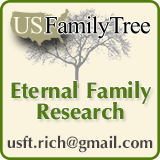 Check it out, and join today. Your husband will think he’s died and gone to heaven! For Christmas this year you can also purchase a Love2Romance “Merry Christmas Deer Kit” and make this the most romantic Christmas ever. The kit makes it so easy to give your man the gift he really wants…YOU, with all the holiday wrappings! We’ve had a chance to experience the Christmas Deer Kit and definitely think it will make for a very fun Christmas! Check it out here. 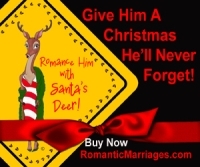 Love2Romance is also offering a special “Friends of Laura” discount of $5 off the Original Merry Christmas Deer Kit. These fun kits make for a great Christmas gift for your sweetheart. It’s definitely something that will feed his dopamine levels and keep him close. We’ve just been offered five Loving Wives Club memberships ($29.99 value) and two “Merry Christmas Deer Digital Kits” ($24.99 value) to giveaway to YOU! 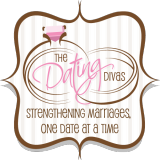 Send us an email (by Thursday, Dec. 24, 2009) at Info@StrengtheningMarriage.com and tell us what you think about the Loving Wives Club and the Christmas Deer Kits. We’ll choose the winners and contact you by email as well as post the winners on our blog. CONGRATULATIONS to the winners of the Loving Wives Club memberships and the Merry Christmas Deer kits. The winners have been contacted by email (Dec 28, 2009). Thanks for all who entered. We’ll have more drawings for Love2Romance.com products coming up for Valentine’s Day! Stay tuned…!! !